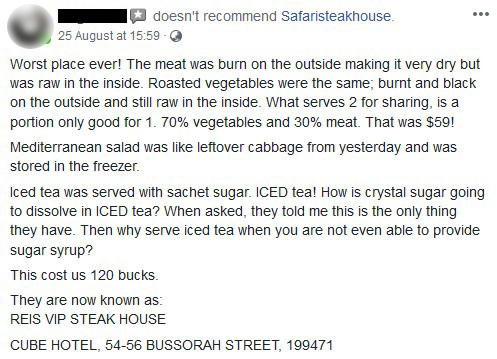 Food establishments get reviews from both ends of the spectrum all the time -- but this particular one escalated rather quickly. 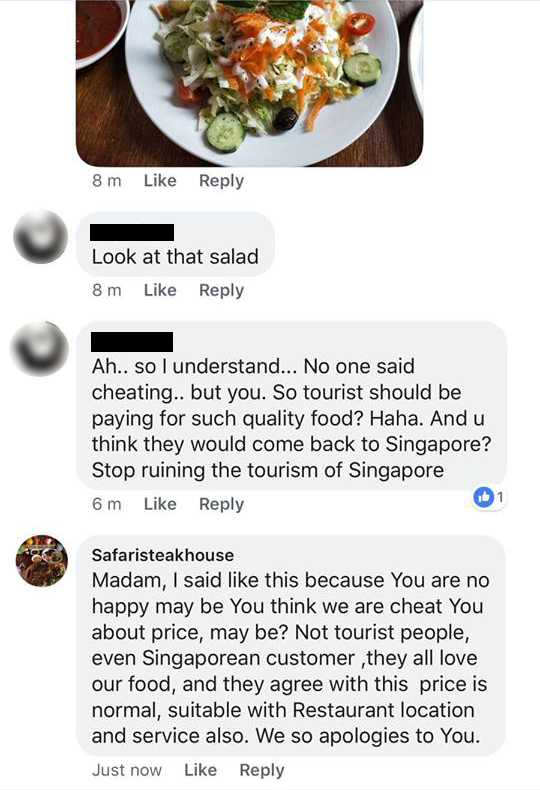 It all began when a Facebook user left a negative review for Safaristeakhouse, also known as Reis Vip Steak House, located along 54 Bussorah Street in the Bugis area. Apologising, the restaurant said that the chef "is still in the apprenticeship phase" and invited the customer back for a main course, apparently as compensation. 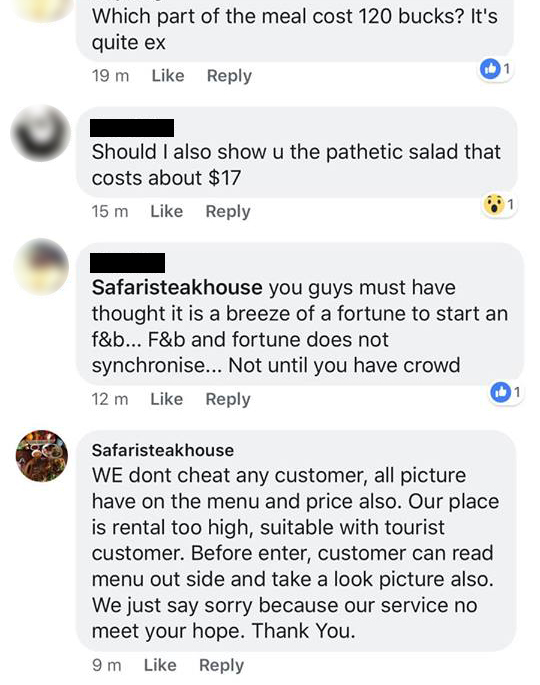 At this point, the restaurant deleted all of their earlier responses, including their apology and invitation to try another main course. 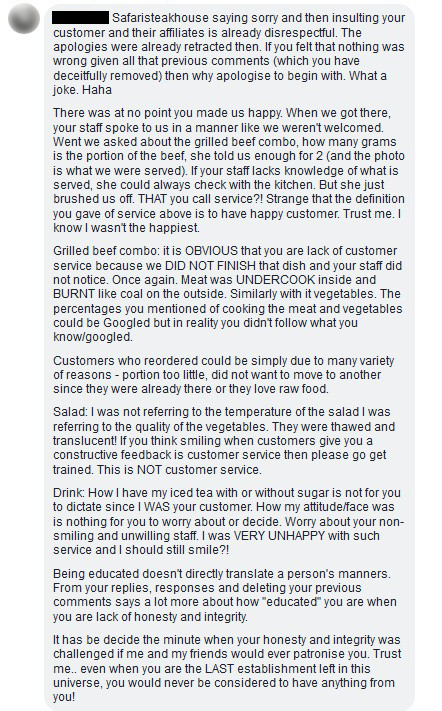 The customer told Stomp: "Just wanted you to know that there were comments that were deleted by the restaurant. 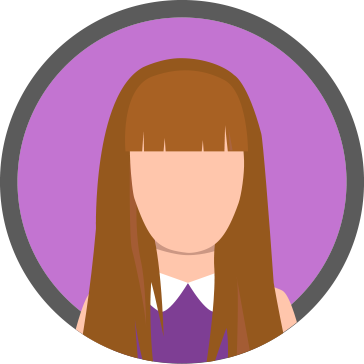 I have some screenshots as my friends captured them." 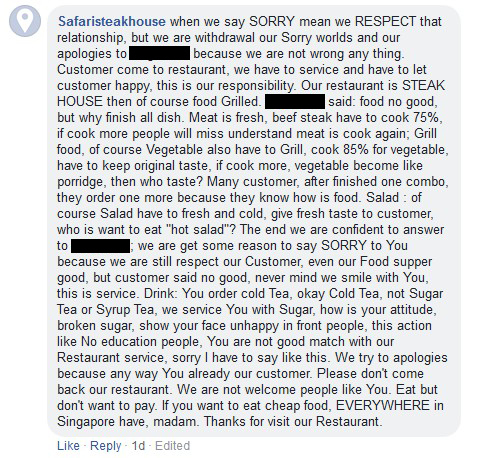 Declaring that they are "withdrawal" their "sorry" because they are "not wrong any thing", they also rebutted the complaints that the customer had about all three food items. 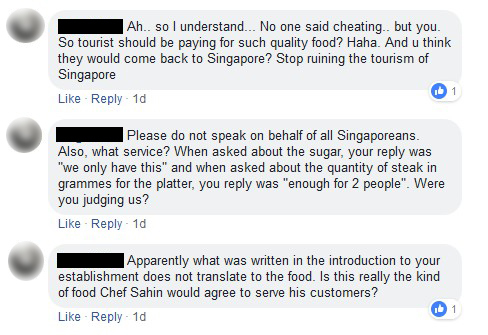 The final comment was made by the restaurant, who said that they removed their earlier responses as the customer did not accept their apology, "so no need to keep that comment". Law firm responds to "dogs**t" comment: They had a meltdown because of the word "pathetic"